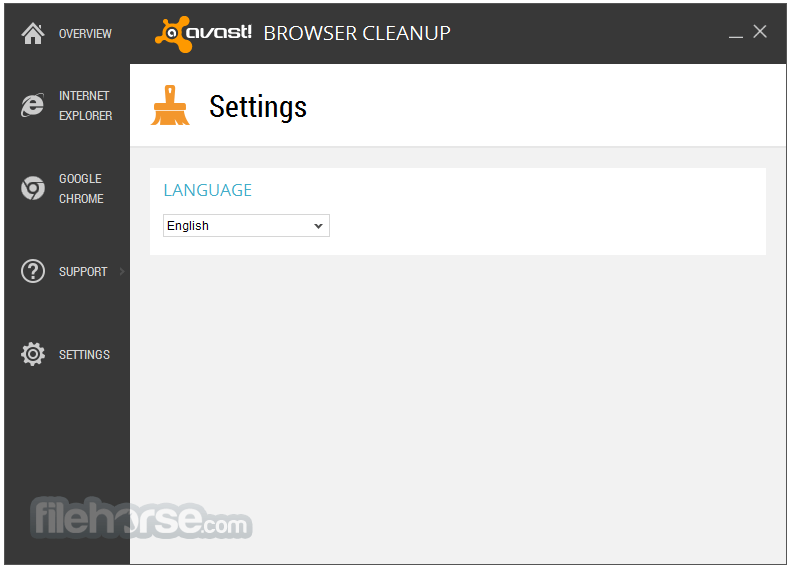 Avat Browser Cleanup removes only add-ons with bad reputation! Toolbars and search resets are not only annoying, they're potentially dangerous. They often get added when installing an otherwise legitimate program, without you even noticing. Once added, they can be difficult to get rid of as they track what you do online. They can also see data stored on your computer, such as your personal photos, manipulate your search results to their financial advantage and slow down your browser. 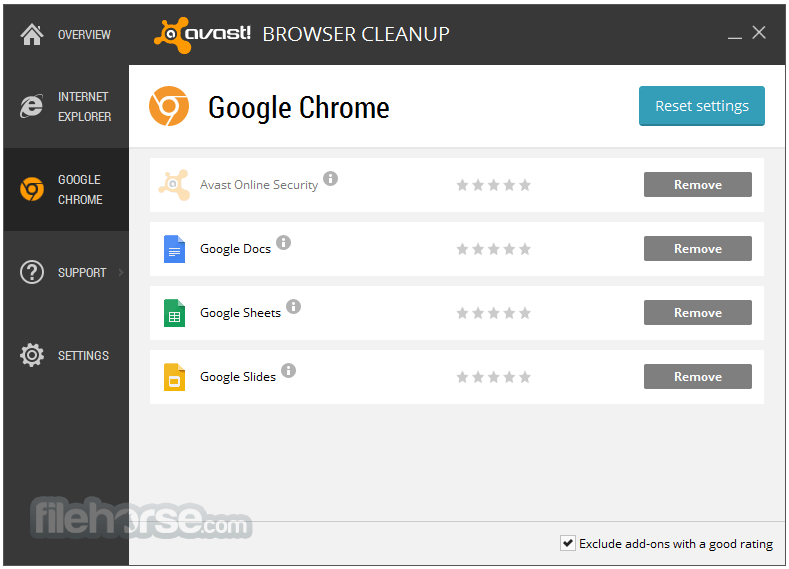 Removing these add-ons and restoring your browser to its initial, clean state makes you safer, and can substantially speed up your browser and PC. 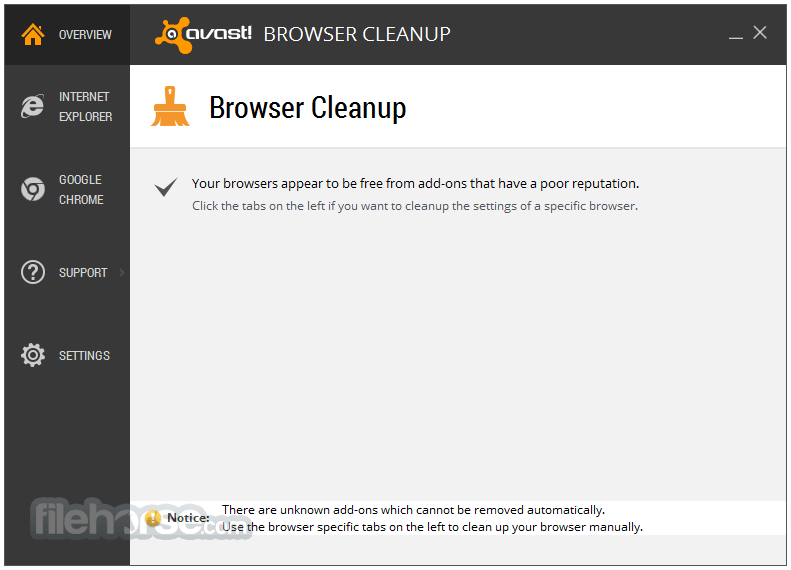 Avast Browser Cleanup provides the essential security you need to protect yourself from unwanted add-ons by removing annoying extensions, potentially harmful toolbars and hijacked search settings, leaving you with only the harmless and non-intrusive add-ons you want.